Since 2010, Professor Zakri has been Science Adviser to the Prime Minister of Malaysia. His other concurrent roles include: Joint Chairman, Malaysian Industry-Government Group for High Technology (MIGHT); Chairman, Malaysian Biotechnology Corporation (BIOTECHCORP); Chairman, National Professors Council; Chairman, Board of Advisers, UNU-International Institute on Global Health and Pro-Chancellor, Universiti Perguruan Sultan Idris (UPSI). From 2001 to 2005, Professor Zakri co-chaired the UN’s mega-study, “Millennium Ecosystem Assessment”. He is the founding Chair of the Intergovernmental Platform on Biodiversity and Ecosystem Services (IPBES) and a member of the UN Secretary-General’s Scientific Advisory Board. He sits on the Global Leadership Council of the Sustainable Development Solutions Network (SDSN). He has been appointed by the United Nations (UN) as the Co-Chairman of STI Advisory Board of the UN Economic and Social Commission for Asia and the Pacific (ESCAP). 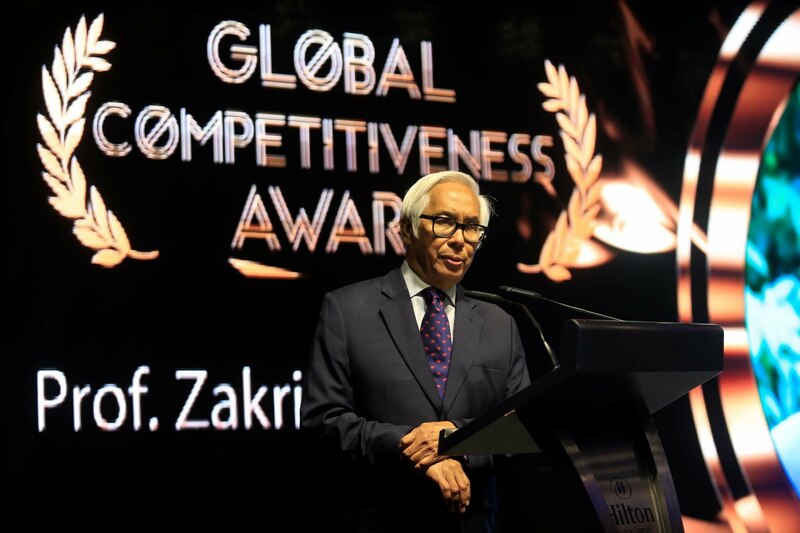 Zakri’s professional interests include crop science, biodiversity and science diplomacy. He has received numerous awards: Fulbright-Hays Fellowship (1981); Rotary Research Foundation Gold Medal Award (1999); ISSAAS Matsuda Award (2013); ASEAN Meritorious Service Award (2014); Zayed International Prize for the Environment (2014), the Academy of Science of South Africa Distinguished Visiting Scholar Award (2015) and Merdeka Award for the environment category (2015). In Malaysia,he has been conferred rank of Senior Fellow by the Academy of Sciences Malaysia with the title of “Academician” (2015); Honorary Doctorate in Science, Universiti Malaysia Terengganu (2013), Honorary Doctorate in Biotechnology, Universiti Sultan Mizan (2013) Honorary Doctorate in Science, Universiti Putra Malaysia (2015); Honorary Doctorate in Science, University of Nottingham (2015). Also, conferred with a Datukship (1991); Dato’ Sri (2012) and a ‘Tan Sri’ (2014). Three species have been named after Zakri: a beetle (Paleosepharia zakrii), a cicada (Pomponia zakrii) and a pitcher plant (Nepenthes zakriana).